Oliver Holmes once remarked, “A man’s mind once stretched to a new idea never regains its original dimensions.” Headquartered in New York, U.S., Oxagile expanded with a similar analogy, in the domain of eLearning. Co-founder and CTO Sergey Marchuk has been leading the company by his long-standing passion for innovation and his interest in cutting-edge technologies, laying the groundwork for Oxagile’s eLearning solutions. “Oxagile is an international software development company with over nine years of experience in custom web and mobile application development,” says Marchuk. “Our eLearning solutions were designed for some of the world’s best-known businesses, with a special focus on video-based distant learning and real-time communication,” he adds. Compared to traditional face-to-face courses and lectures, eLearning allows users a greater flexibility in choosing study materials, better interactivity between students and instructors, extra convenience in learning pace, and reduction in costs. Established as an IT company specializing in IPTV development, Oxagile has extended its list of services since its advent in 2005. “We are a software service supplier focusing on multi-platform video streaming and RTC. We combine our technical know-how in these two domains to consistently deliver top-notch distance learning and knowledge management solutions, which meet and exceed our customers’ expectations,” says the CTO. The company’s service offerings encompass Custom Software Development, Software Testing & QA Services, Web Application Development, Software Design & Prototyping, Mobile Application Development, IT Consulting, Application Support & Software Maintenance, Video Software Development, custom social media application development, business process management, system integration, and SaaS-based solutions development to its clients. eLearning has been one of the core competences of Oxagile, and the company has successfully completed dozens of distance learning projects. 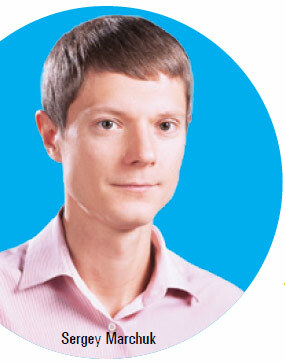 “Our vast body of knowledge accumulated in the field of eLearning enables us to not only deliver quality solutions which solve our customers’ problems, but also helps us consult our clients on the optimal implementation strategy, the best choice of technology, and scalability and reliability requirements,” says Sergey Marchuk. Oxagile has worked with some of the biggest brands in the world, including Google, Vodafone, and Discovery Communications. Oxagile was instrumental in the development of a full-blown distance learning platform for top managers and corporate executives for the Massachusetts Institute of Technology. The delivered eLearning system allows business executives to enroll in courses, access a large variety of educational materials, take exams, communicate with colleagues all around the world, and more. Built with reliability and scalability in mind, the eLearning solution supports up to 10,000 concurrent users. To stay ahead of the competition, Oxagile focuses on two key areas—people and innovation. The company enforces knowledge accumulation and management at all levels, and invests in education for its staff, on a consistent basis. This allows developers, Project Managers, QA specialists, and customer relationship personnel to get certified by industry-recognized bodies, including Microsoft, Zend, and others. In addition, a dedicated R&D program is also established within Oxagile, with a focus on video-based learning and real-time communication, which ensures that the company continues to stay on the cutting edge of innovation.